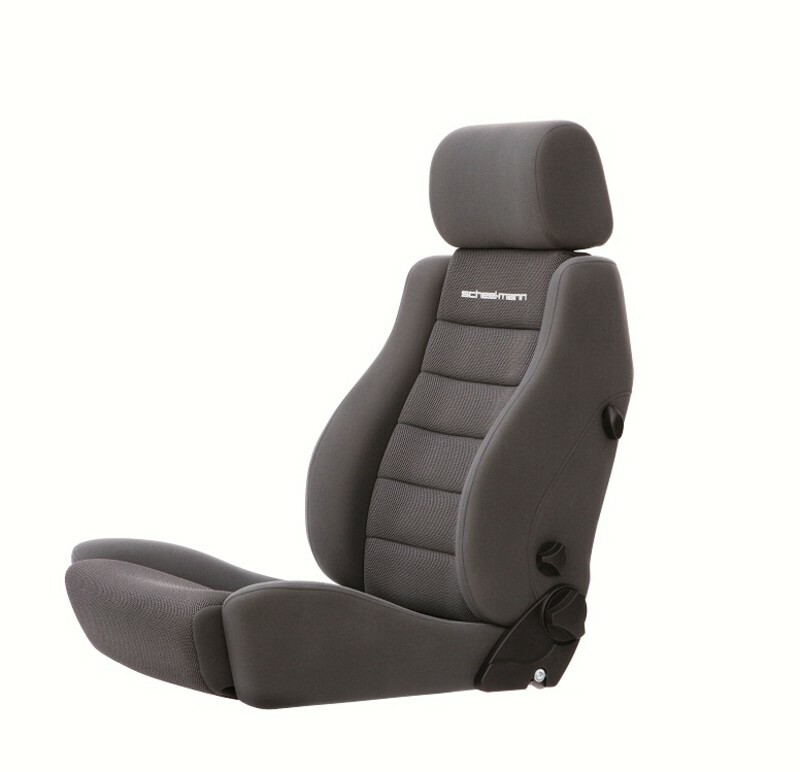 The Traveler backrest has large side bolsters. They give you the support you need in the corners without being so big that they fatigue you on a bumpy road. 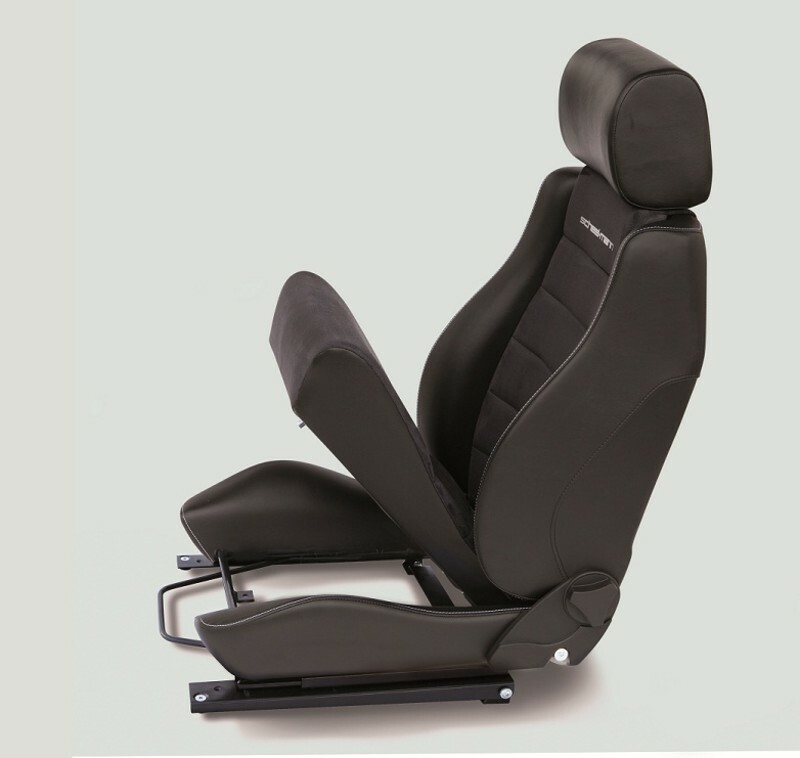 The central cushion between the side bolsters are perfectly shaped to cradle and support your spine for all day comfort. The backrest has a release mechanism that allows the seat back to hinge forward. 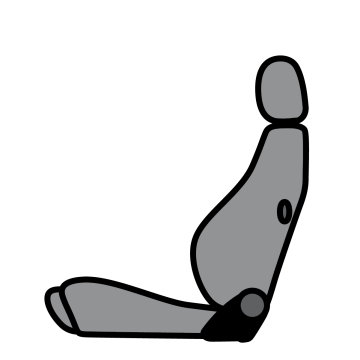 The Right hand version of the seat only has the release handle on the Left, this is to accommodate vehicles with tight clearance in the B pillar area. The R seat base has longer, taller thigh bolsters. Both the R and the F model share the same Traveler backrest. 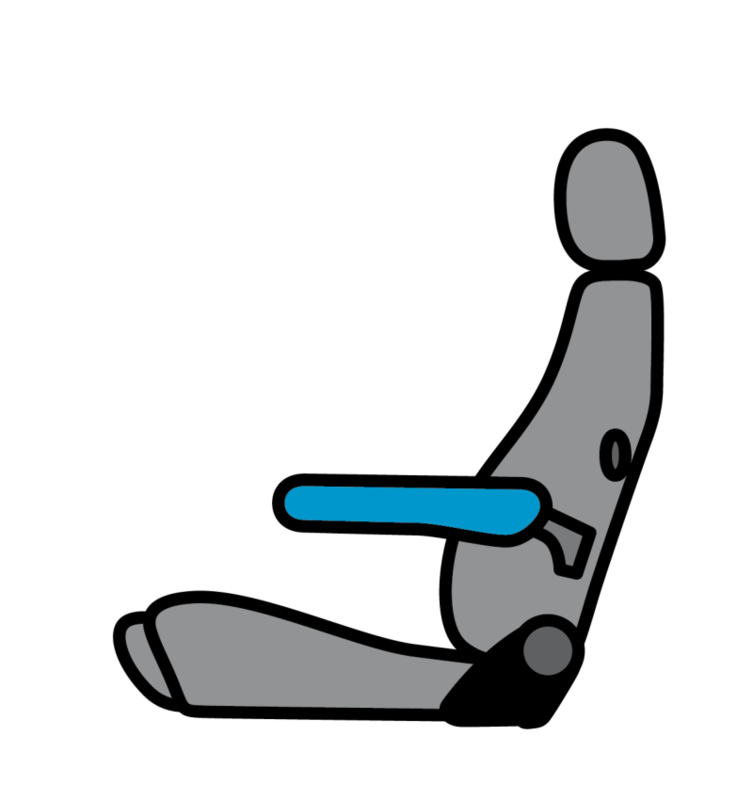 The F model seat base has shorter, smaller thigh bolsters in the lower seat. 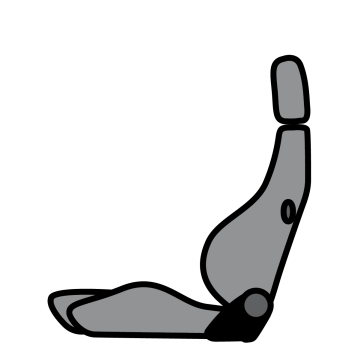 Both the R and the F model share the same Traveler backrest. You will feel planted without feeling pinched. 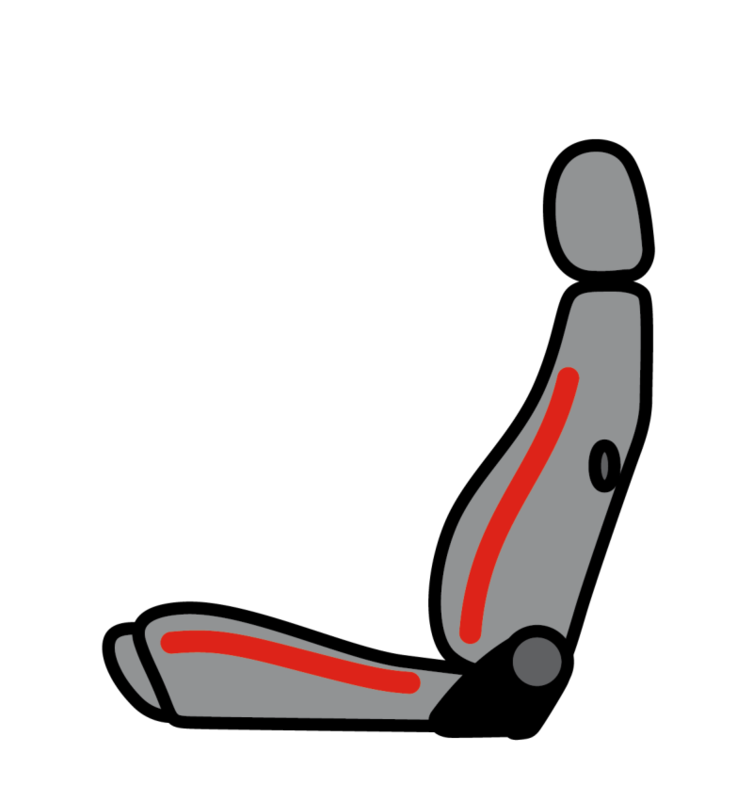 Lower seat cushion shape: The LR Edition lower seat has side bolsters that are smaller to allow easier ingress and egress for taller vehicles. You will feel planted without feeling pinched. Under seat access: The LR Edition lower center cushion hinges up, making it a secret access hatch to items such as the battery or storage locker on the Land Rover Defender TM, or just great place for strong box or travel documents. 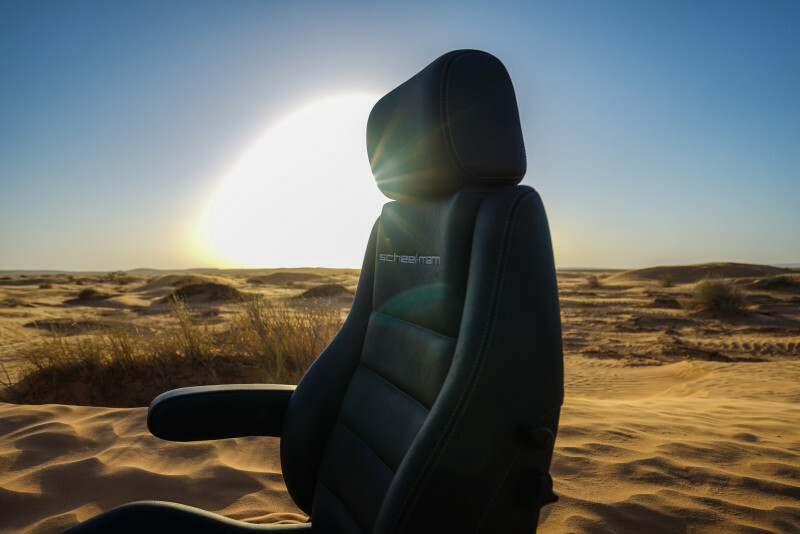 Integrated lumbar support that you fine tune to the needs of your unique back. The support can be moved both up and down, as well as in and out. 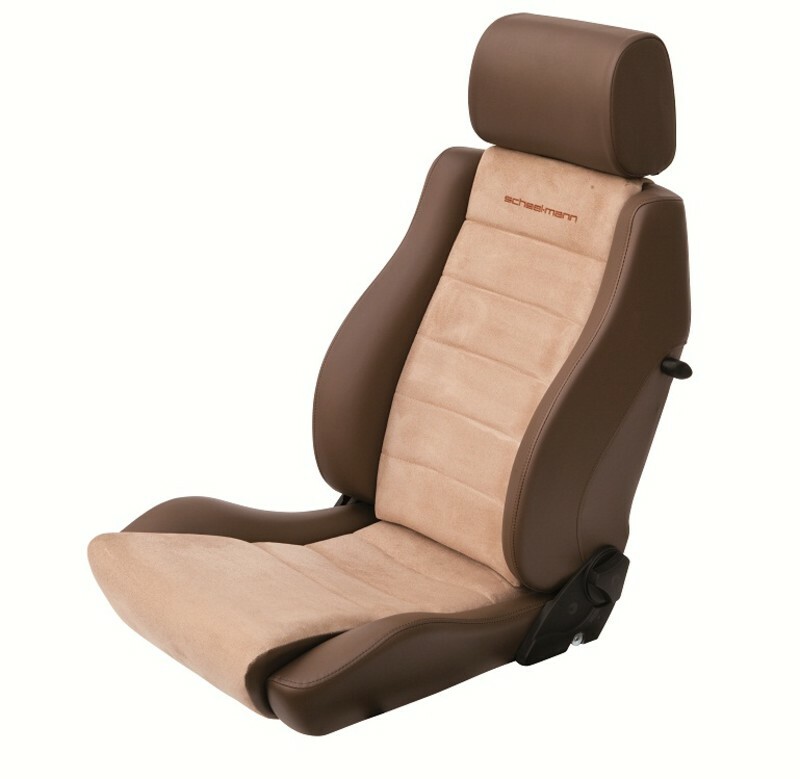 Additional storage net can be added to the back of the seat.